A few Halloween Tricks to remember ! A Few Halloween ”Tricks” ! 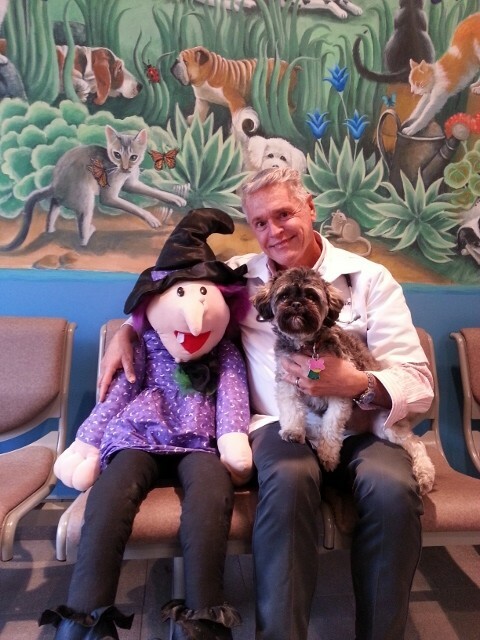 Halloween can be a “scary night” in a fun way for children and adults but for our pets it can just be scary period. 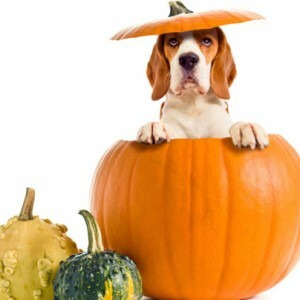 Keeping your pet safe and unafraid are important considerations as you make plans for Trick or Treating with the kids and/or continually opening the door to scary monsters and pretty princesses. Keep the candy bowl away from your pet. Chocolate in any form can be dangerous for dogs or cats. Sugar free candies containing the artificial sweetener xylitol can cause serious problems too. If you suspect your pet has ingested something toxic, please call your Veterinary Hospital ASAP !! Do not delay! 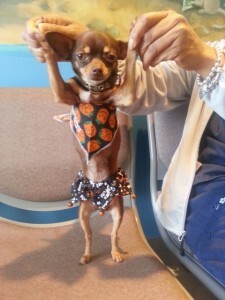 Costumes: Wearing a costume can be very stressful for some pets. Know your pet. 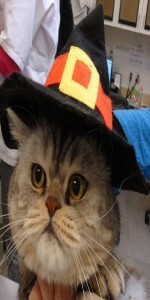 Make sure the costume doesn’t restrict the pets movement, cover his eye or ability to breathe, bark or meow. Make sure the costume has no dangling pieces to get chewed off. Keep pets calm. Too many strangers can be stressful for pets. Keep pets away from the front door and ensure the pet is wearing proper Identification ie ID tags or Microchip should he or she escape.